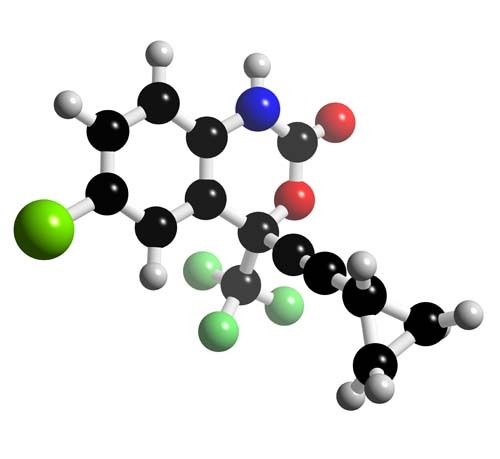 Efavirenz is a non-nucleoside reverse transcriptase inhibitor (NNRTI) and is used as part of highly active antiretroviral therapy (HAART) for the treatment of a human immunodeficiency virus (HIV) type 1. For HIV infection that has not previously been treated, efavirenz and lamivudine in combination with zidovudine or tenofovir is the preferred NNRTI-based regimen. It is never used alone and is always given in combination with other drugs.